The symptoms of asthma differ from person to person and aggravate or become better under different conditions. The conditions or factors that cause asthmatic attack to begin are called triggers. 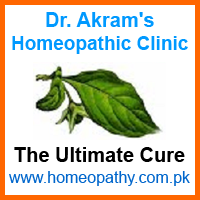 There are numerous homeopathic medicines that are used for different conditions but every medicine no matter how effective that might be, is not likely to cure every asthmatic condition. The medicine must always be chosen according to particular conditions of an individual. An inappropriate medicine might palliate for a while but will not cure permanently. There are over eighty homeopathic medicines that are used for treatment of different conditions of asthma but following are few of those that are commonly used but you must always consult your physician before using any of them. This medicine is useful when the asthmatic condition aggravates in wet weather, cold in any form, cold drinks or food. The sufferer feels better during warm weather and after taking warm drinks. Asthma that can be cured by this medicine usually aggravates after midnight and forces the person to sit up in the bed because lying down causes suffocation. Asthma usually aggravates in damp conditions of whatever nature. The condition becomes worse during rainy season. The person cannot eat even plants growing near water. Drinking even plain water can cause discomfort but always feels better in warm weather. Natrum Sulphuricum is very useful in humid asthma of children. In both cases that match Arsenicum Album and/or Natrum Sulphuricum, the person should avoid taking cold drinks of all types, ice-cream, milk products and other stuff that tends to cool down the body. Almonds, dates and ginger should be added to daily diet. The patient of this medicine usually has dry mucous membranes, and dry mouth with lot of thirst with or without constipation. The respiration is quick and difficult that is worse with every movement. There is lot of tough mucus in the trachea, which can be expectorated with lot of effort. Has frequent desire to take a long breath and expand the lungs. If these symptoms match with that of the person, even few doses would give excellent result. This condition calls to avoid all acidic foodstuff, cinnamon, clove and all that creates constipation. Very useful for asthma of stomach origin. The person always has some kind of complaints associated with digestive system. If you feel that bad digestive function is the cause of your asthma, treat that rather than the asthma. If your digestive system improves, asthma will improve automatically. This medicine used in Mother Tincture has some reputation for asthma and is useful when asthma is associated with bronchitis with much mucus. It is not useful in all cases of asthma. The best option is to note all the symptoms, even minor details, including the factors that aggravate the condition or make you feel better and then visit your homeopath for proper prescription. Remember that asthma is curable only if you use correct medicines and diet.